The greatest invention ever! Splash pools are amazing. Especially when you turn up completely unprepared and have to watch your toddlers nappy slowly fill with water whilst debating whether to let her go in completely naked (is that even ok nowadays? I don't know... I was pretty much naked from the age of 1 till 5...). I am 32 weeks pregnant and I have nothing ready. Barely any clothes for baby, no hospital bags packed, no real plan of what's going to happen with Alice when I go into labour. I know they say you relax with the second, but this is a little ridiculous!! 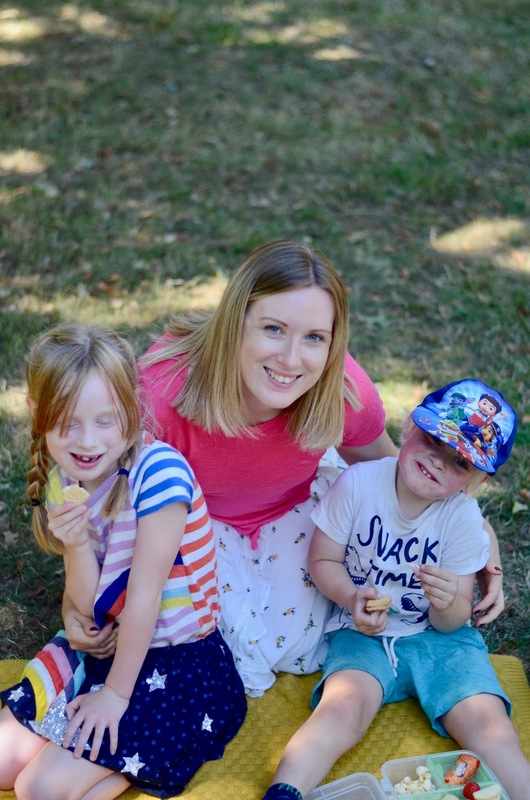 I haven't been spending any time on the blog as I am just so tired and am trying to enjoy the good nights sleeps Alice is giving us before it all changes again! Also, our oven has broken so I'm having to improvise with meals which is a little difficult when your toddler is just demanding "cake! Cakey cake!" all day long... only for you to present them with a plate of raw carrot sticks, humus and a bread roll, "what dat mama?". I HAVEN SO MUCH TO DOOOO! I am just stressing about it all and I have no time, or it feels that way! But I am going to get moving on it all this week. And perhaps as a reward go down to Wimbledon tennis one day next week. I didn't get to go last year and was pretty gutted about it, so I can't wait to go this year! Anyways. Ramblings of a pregnant women. Over and out.